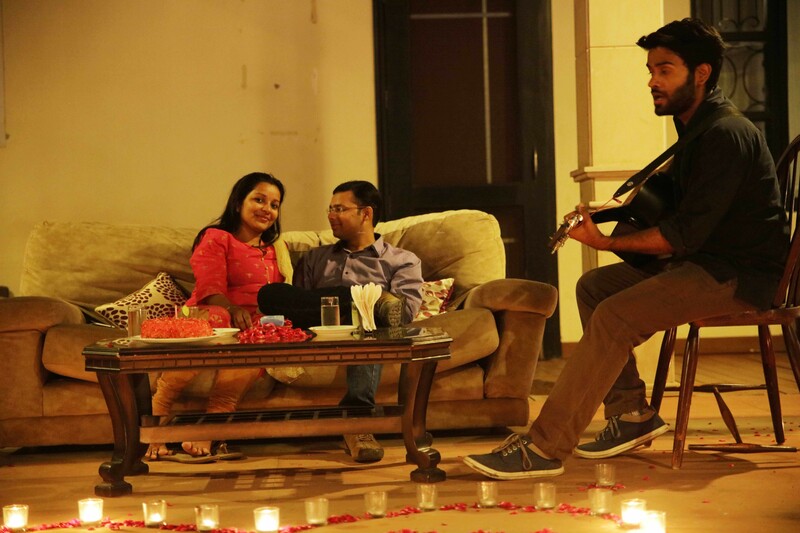 A magical and Musical way to surprise your favourite person! What will you give for that look on your loved one’s face, when they are pleasantly surprised and feel special! Be it midnight or a convenient time in the day, celebrate your loved one’s special occasion, birthday or anniversary, with a guitarist playing live music for them. Also, you can make the celebration even more special by adding some tasteful add-ons. We can send a nice flower bouquet or ask the guitarist to double up the live music performance. And if you are looking for a different & cute gift you can add a special “Picture of pictures” photo frame. A frame that combines hundreds of your small memories (photos) to form an big picture (couriered to your home / given address). Guitarist will come to your place at your chosen time slot and he will carry the cake. Can i make some suggestions for the song? Yes you may tell us your choice of songs after your booking over email or call. For delivery at 12 please choose the time slot of 11-11:20 pm and than mail us that you want it to be shifted by 1 hour.